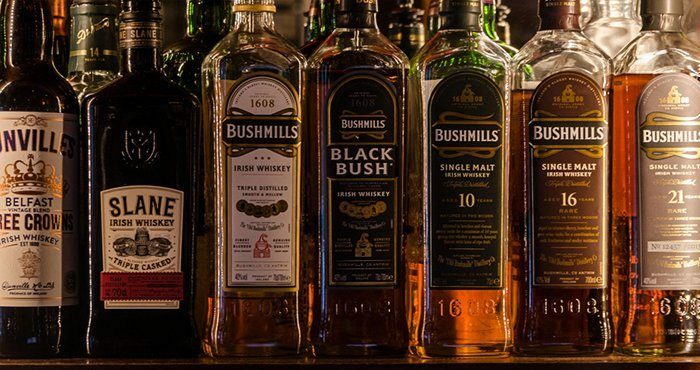 Bushmills is the pride of Northern Irish whiskey, and is understandably at the forefront of many of Northern Ireland’s national tourism and cultural campaigns. The distillery weathered the great maelstrom of upheaval that shattered Irish whiskey from the beginning to the middle of the 20th century. When every other northern distillery sank, it became the sole bearer of a long and distinct tradition. It can also be seen as having adopted an almost political role, with its increasing popularity south of the border helping to warm the sometimes frosty relations between the different nations of the island. 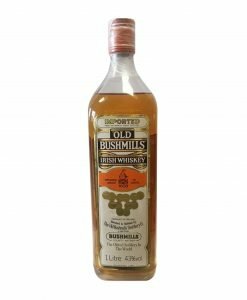 Though 1608 is the eye catching year which appears on bottles of Bushmills, that date is quite contentious among whiskey historians, as it refers to a licence for distilling in the area rather than the specific distillery. At different periods, there were up to five different distilleries in this sleepy seaside village, though only one survived. There’s also more than a suggestion that this date was a marketing ploy by previous owners Irish Distillers, and that it was expanded on by Diageo, rather than a sincere attempt at historical accuracy. The Old Bushmills Distillery is no spring chicken in any case, and was officially founded in 1784 by Hugh Anderson, who established the pot still as its trademark – a symbol that still appears on the bottles today. After receiving the only medal for whiskey at the Paris World’s Fair in 1889, the owners brought in new ideas and verve, including commissioning their very own steamship, the SS Bushmills. This set off on an expansive voyage to bring Bushmills to the world via New York, Philadelphia, Singapore, Hong Kong, Shanghai and Yokohama. A great trip for whatever lucky rep was on board, but, considering a quick over-and-back trip to quench the American thirst for Irish gold would have been a more sensible journey, the boat was a financial disaster. There was still worse to come, sadly. Prohibition came about in 1919, costing Bushmills one of its most important markets, and in 1920 the distillery was liquidated in a scandal with the proprietors being accused of tax evasion. It was subsequently bought in 1923 by Samuel Boyd, who proved a canny operator – well, in sales terms at least! He was a bit of a showman and proved adept at shifting stock, but upon his death in 1929, his sons took over to discover he had never much fancied replenishing their stock and production had been at a trickle during his reign. Luckily, the tides began to turn, and the end of Prohibition saw a massive boom in sales as Americans made up for lost time and fell in love with the Ulster spirit. That didn’t stop a distilling hiatus in 1939, as the premises was commandeered to billet troops during World War II, but this was followed by yet another owner, Isaac Wolfson in 1946, who sold it to the brewing firm Charrington in 1964, who sold it to Seagram’s in 1967. 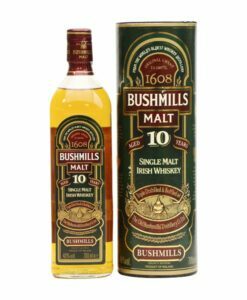 Having split from Midleton earlier this century (coming first under the remit of Diageo and more recently Jose Cuervo), Bushmills has been happily ploughing its own furrow in the whiskey world. Going from strength to strength as a marquee Irish name, the distillery has been upgraded to match its stature. Its traditions have always belied its relative proximity to Scotland and so, unusually for a “traditional” Irish whiskey, its premium offerings (10 Year, 16 Year and special Reserve 21 year bottlings) are Single Malts rather than Single Pot Stills. This fact, as well as its location at the opposite end of the island to Midleton, means that the distillery provides an able bookend or counterpoint to any true taste tour of Ireland’s whiskeys. 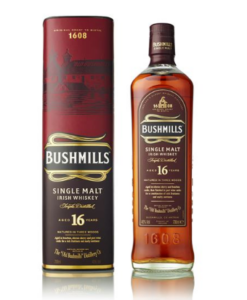 This Bushmills 16 Year Old single malt was matured in three different types of wood, each of which has imparted its own range of notes and flavours on the spirit, resulting in a complex but well-balanced whiskey. 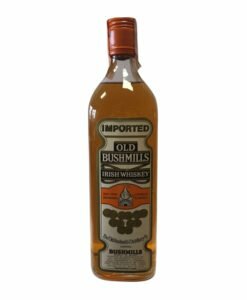 This Old Bushmills Imported whiskey is a very old and rare expression from one of Ireland’s most famous distilleries. It’s not often you see one of these about today, never mind a litre bottle. A real collector’s item. 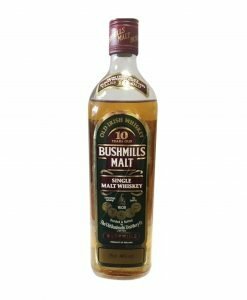 This astounding Old Bushmills 10 Year Old Single Malt is a fantastic point of reference for beautiful Irish whiskey. It has won countless awards over the years including Best Irish Single Malt Whiskey at the World Whisky Awards. 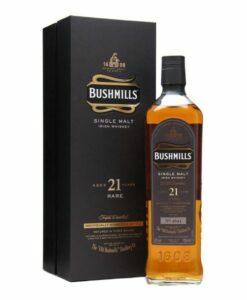 This Old Bushmills Imported whiskey is a very old and rare expression from one of Ireland’s most famous distilleries. It’s not often you see one of these about today. A real collector’s item.